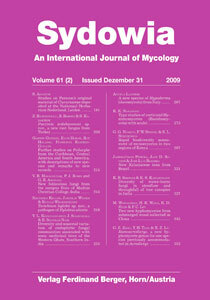 Ramoacrodictys, a new hyphomycete genus for one species previously accommodated in Acrodictys. A new genus, Ramoacrodictys, is erected to accommodate one species, R. malabarica, formerly placed in Acrodictys, on the basis of examination of literature and a specimen collected on Bambusa sp. in China. Ramoacrodictys is mainly characterized by erect, macronematous, multi-branched conidiophores, monoblastic conidiogenous cells and production of gangliar conidia. R. malabarica is compared with closely related species.